Softcover, 21cm x 21cm, approx. 610 pages, 300 photos. Yoshiichi Hara was born in 1948 in Tokyo. He attended the Chiyoda Photography Vocational School but dropped out. He first exhibited his photography in 1973. In 1978 he self-published his first book, Fubaika. Those are the basic facts and I have to admit I know little beyond them. 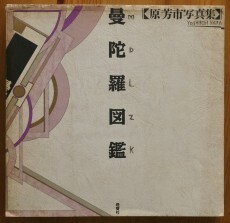 Mandala Zukan is a thick, square-shaped book, containing exactly 300 black and white photographs. Most of the photographs are in a square format, with “sloppy borders” to emphasize that we are seeing them full-frame, without cropping. They fill most of the right-hand page, giving them a sense of scale that is nicely counterweighted by the subject matter itself, which is rarely grand. 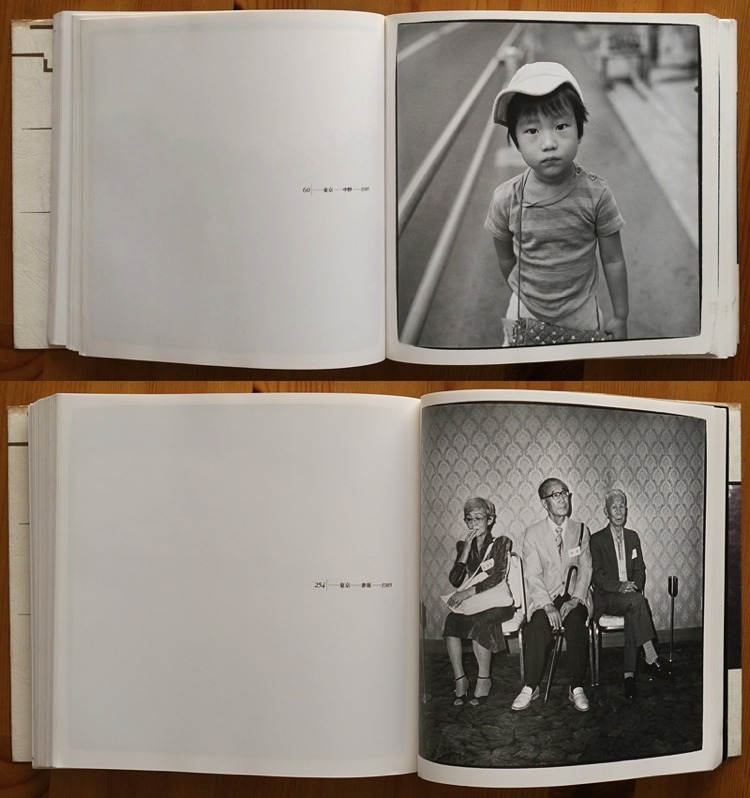 On the left-hand page, there’s an almost completely empty page except for a simple caption denoting the number of the photograph, the city and district where the photograph was taken (in Japanese only), and the year the photo was taken. The subject matter is all over the place, but never feels scattershot or give the impression that Hara doesn’t know what he’s doing. We always feel he is in control, that there is a vision he is trying to put forth but it is up to us to decide what that is. There are some images that might repel, and a few that could upset those with delicate sensibilities, but again one never gets the sense that Hara is shocking for shock’s sake. When I met Hara in person recently, he mentioned that the late Kiyoshi Suzuki was a friend of his, and that they had exhibited together. Like Suzuki’s books, Hara’s have that same feeling where the thread from photo to photo is often thin and hard to see, but always strong and firm. There are a lot of portraits, people posing for the camera a la those we find in Arbus or Suda, projecting a sense of self that can’t help but be undermined by the camera. Vulnerability is everywhere. There are more than a few children or young people scattered throughout the book, and by contrast they almost seem self-assured. One feels the urge to protect them, shield them from the harsh world of the main of the book — but not to protect them, but to prop ourselves up, give ourselves some hope. 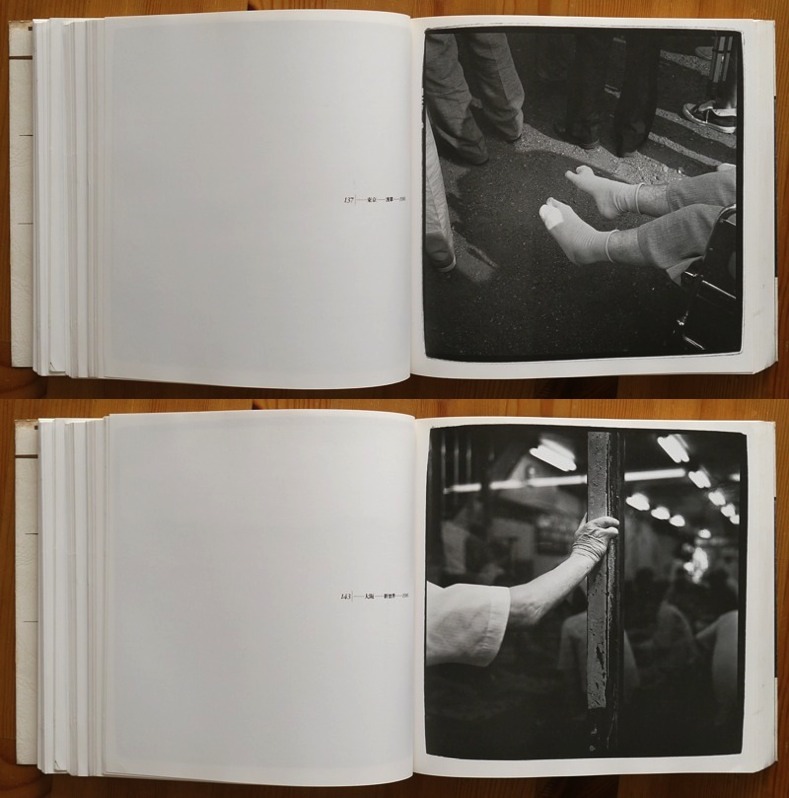 The book’s design plays off the contrasts between a formal, clear-cut structure (one caption page/one photo, exactly 300 photos) and the vague, polyphonic subject matter, the candid, messy nature of the photos. 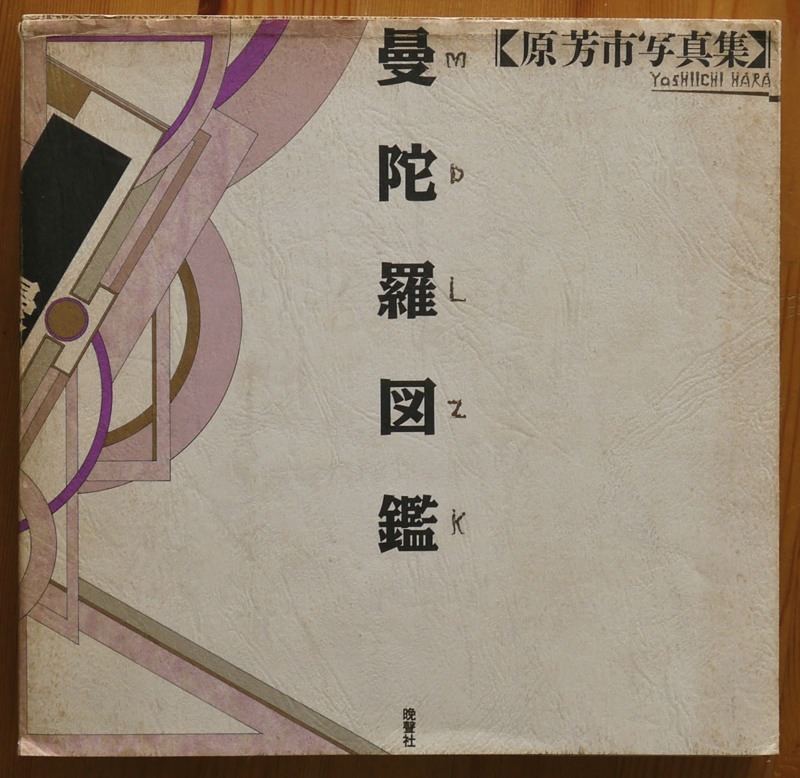 The cover presents a constructionist motif, yet the book’s spine has the title angling over it in a diagonal, and Hara has handwritten his name and the letters that correspond to the Chinese characters. As well, one appreciates the little touches like different colored end papers, or small snippets of what seems like Hara’s diary randomly printed on the inside fold of the dustcover. More importantly, the book is very well edited, and it’s obvious great care has been placed on how the images are sequenced, how they might resonate off of each other. A visual motif we subconsciously took in in one photo, might come back to the fore via another photograph several pages later. If there are occasionally visual puns, they are subtle, and don’t pull us out of our reverie. What follows is a short (and silent) slide show that I hope will give you an idea of the book even as it can never really be more than that. (To view the video larger, click on the “Vimeo” mark in the bottom right hand corner of the video.) This is a book whose weight, physically (for a softcover book, it is quite heavy at over 600 pages) and of course emotionally, needs to be experienced in full, first hand. Reasonably priced used copies do come up once in a while — if you would like us to try to obtain a copy for you, please get in touch. At around 1960, a man the Americans called “Mr. Zenza” came to the USA and had lunch with Burt Keppler, the former well-known publisher of Modern Photography and Popular Photography magazines in the United States and one of the most respected and influential figures in the history of the camera industry. Keppler, who passed away in 2008, was a driving force behind the success of the Japanese camera industry. 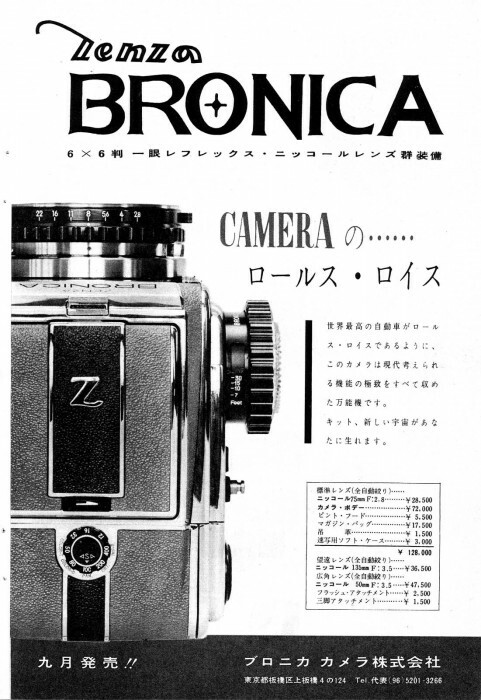 Mr. Zenza was in America to sell his camera, the Zenza Bronica. It was to become a widely used camera family, not least by recording millions of weddings shot on medium format film. 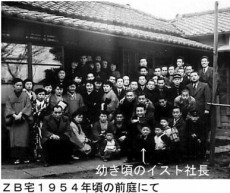 Zenzaburo Yoshino was born in 1911 as the third son of a prosperous rice dealer, which even at that time had over 150 employees. Yoshino initially continued his family’s rice business. However, in the aftermath of WW II and the resulting US occupational forces’ rice rationing and control over rice distribution he was keen to expand and diversify the business into new areas. Why he got interested in cameras is not clear, but he was known to enjoy a stroll over Ginza and looking at the various camera stores there. Being from a wealthy family he was certainly in a position to afford the expensive hobby of photography. 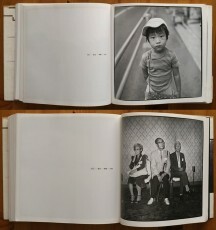 Yoshino began to be known as a real camera mania, an obsessive photo enthusiast. He admired Victor Hasselblad, the Swedish inventor and photographer, known for developing the modular Hasselblad 6×6 cm medium format camera. In 1946, Yoshino opened a used camera store called 新光堂写真機店 — Shinkoudou Shashinki-ten in Kanda-Tachō (神田多町), the ward of Chiyoda in Tokyo. Despite the hard times of the post-war era, many still affluent Japanese would sell off their cameras to buy the latest models. The shop was a viable business and prospering. Nonetheless Yoshino grew tired of simply buying and selling cameras. Thus behind the shop’s premises the 新光堂製作所 — Shinkoudou Manufacturing workshop was established in 1947, with the primary intention to design and manufacture cameras. They failed to do so, but to improve their skill and workmanship the workshop started producing delicate fashion accessories made of metal, such as metal cigarette cases, brooches, lighters and women’s compacts (portable beauty accessory with powder and mirror). In 1952 Yoshino wanted to try building a camera once more but realised that a better workshop was needed. The actual birthplace of Bronica was an old Japanese-style building in Kami-Itabashi in Itabashi ward in northern Tokyo, a district known for its numerous small manufacturing operations. Zenzaburo Yoshino was a child of the Meiji era and was content with a modest and simple factory. It even served as a home for the Yoshino family, including their two children aged two at the time and a maid, on the first floor and the machinery, reception and delivery areas on the ground floor. The division of the house was not too dissimilar from his earlier experience of running the rice store. The accessory business blossomed and a large proportion of the company’s income was re-invested into the development of a camera. Yoshino was not a trained camera designer, but he had a dream and two common Japanese personality traits: persistency and tenacity. It took eight years to finalise the design and build the camera, which he named Zenza Bronica – the name being partly derived from his name Zenzaburo and the Japanese term for 120 medium format sized film, buroni (Brownie). 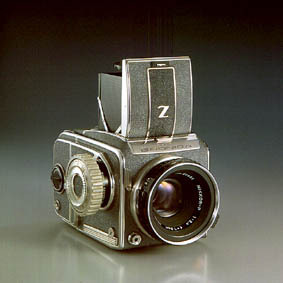 Originally that first camera that went on sale in 1959 was simply called Zenza Bronica and later renamed Zenza Bronica type D (Deluxe) and the follow on model type S (Standard). The Bronica D was the Japanese answer to the Hasselblad and in several ways outclassed the Swedish offerings. However, the Bronica D was not just a technical feat, it also was a very pleasing object to handle and showing Yoshino’s workshop’s experience in manufacturing fashion accessories. The chrome (actual stainless steel) elements and subtly curved lines gave it a delicate and precious appearance, not simply a metal box with a lens in front, despite the modular design. More information and pictures on Cameraquest. The following Bronica Z and successor Bronicas, using large-coverage, high-quality Nikkor lenses, became instant successes. Bronica later introduced lenses of its own manufacture with its later camera designs. Zenza Bronica Ltd. was eventually acquired by the lens manufacturer Tamron in 1998. Zenzaburo Yoshino died in 1988. As a response to the digital revolution Tamron discontinued the brand’s single-lens reflex models (SQ, ETR and GS) in October 2004. Bronica’s last model, the RF645 rangefinder camera, was discontinued in October 2005 and Tamron announced the termination of the Bronica brand and medium format cameras. Tamron are still providing parts and service to the more recent Bronica medium format cameras. In case you need help, please take advantage of our Camera Parts & Repair Service. The early 1980s saw two major changes for Contax: in 1983 Kyocera Corporation acquired the Yashica company. Kyocera is an industrial conglomerate with a very diversified product palette ranging from industrial ceramics (which gave the Kyoto-based company its name), to audio components, photo copiers and laser printers, solar cells, mobile telephones (due to a merger with Sanyo Electric) and ceramic kitches knives, just to name a few. Kyocera inherited Yashica’s agreement with Zeiss and an expansion of the photography division was pursued by developing new products such compact cameras and even a medium format system, all equipped with Zeiss lenses. 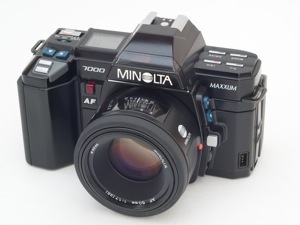 Another significant development of that decade was Minolta’s introduction of the 7000 AF (MAXXUM 7000) 35mm SLR camera. It marked yet another significant milestone in photography as it was the first camera to feature both integrated auto-focus (AF) and motorised film advance. Obviously this was foreseeable for Zeiss and Yashica. The pressure to introduce AF had been building up over a long time. Yashica, perhaps unsurprisingly, was prepared to go ahead; a prototype based upon the Contax 137 SLR with a coupled Carl Zeiss 50mm f1.4 lens was presented at Photokina in 1982 and its workings were, in principle, identical to the 7000 AF introduced three years later. However, Zeiss disapproved of AF. It feared that the optical performance of its lenses was compromised by the entailing use of lighter materials. Especially the helicoid, the device controlling lens to film distance for focussing, had to be made of a lighter material to let the rotation be carried out by electric motors. The helicoid and the spacer rings, positioning and holding in place lens elements, had to be made of plastics. These components were not up to the longevity and optical expectations of Carl Zeiss. Consequently the plans for a conventional AF camera were dismissed and R&D continued. An alternative to moving the lens for focussing was to move the film plane. This seems to be an alien thought after years of being used to turning a lens to achieve focus. Still, since the beginning of photography, using a view camera, it is normal to focus by moving the film plane — which is exactly what the Contax AX was designed to do when released in 1996. The AX was an incredible engineering feat. 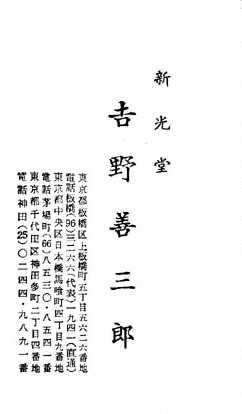 It is said that over one hundred patents have been granted regarding the technology in the camera. At the core, two main technological achievements made focussing possible: the first is ceramic technology; a very finely finished ceramic rod acts as a guide rail and motor part to move the film plane forward and back. Secondly, an Ultra Sonic Motor (USM) drives the ceramic collar and an inner camera body forward and back on the rails to obtain focus. USM offer precision control and extremely quick and quiet operation. The Automatic Back Focusing system on the AX can move from minimum focusing distance to infinity or back in less than 450ms, irrespective of focal length. The Contax AX utilized three computer CPUs to control all of the camera’s functions, a more sophisticated computer system than in any other camera. One of the CPUs controls the Automatic Back Focusing system, one to oversee auto-exposure, and a third, the Indicator CPU controls wind/rewind, shutter charging and viewfinder indications. Almost a byline is the novel concept of user configurable camera parameters, called Custom Functions, which are common today. In 1994 attention once more shifted to rangefinders. The Contax G series was a 35mm rangefinder system with interchangeable lenses — with a difference. The G1 camera was unique in that it offered auto-focus by means of a rangefinder. Instead of displaying a fixed magnification viewfinder, the first G1 had a zooming viewfinder adjusting itself depending on the lens in use. The viewfinder is very similar to an SLR displaying focus confirmation and distance and of course light metering information. Unlike AF in an SLR camera determined through the lens alone, the G1’s auto-focus used the typical twin-window rangefinder. The difference was that the alignment determination was performed electronically, not by the photographer, by means of a phase-detection sensor. The system was very novel but to this day draws criticism from many rangefinder photographers as it did not conform to the classic heritage cameras like the Leica. Auto-focus, auto-winder, no frame lines, all in a modern titanium body were pushing the RF paradigm. The first incarnation became known to be finicky at time with AF speed and accuracy, improved in the G2 follow-on model. With the G series Zeiss and Contax celebrated a return to its rangefinder heritage. Rangefinder lenses are generally assumed to offer superior optical performance as there is no need to accomodate the reflex mirror box of an SLR, demanding a greater lens to film distance. Even by today’s standards the G lenses are considered stellar performers in their class. Unfortunately the G lens mount is proprietary and lenses cannot be used on other cameras without modification. By now the digital age loomed, and unlike with auto-focus, Kyocera Contax could not afford to miss the boat. 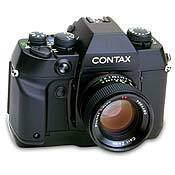 A number of compact digital cameras were made, but the top of the line was the Contax N series. 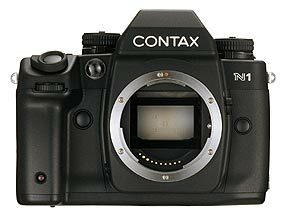 The Contax N was an autofocus 35mm type DSLR system, announced in late 2000, and began to be sold in spring 2002, after several delays, for around ¥800,000 (~US$6550 at the time). 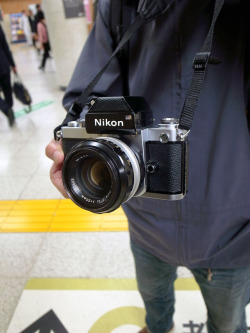 Three models were made: the N1, the NX and the N Digital, an early Digital SLR. The Contax N Digital was the first professional digital SLR with a full frame size CCD chip (made by Philips). In 2008, Kyocera sold the trademark rights of the Yashica brand to a Hong Kong-based company to use on photo products such as digital cameras, digital camcoders, digital photo frames, portable DVD players, digital audio players, digital voice recorders, binoculars, mobile phones and SD cards — undoubtedly a sad fate for any camera maker with such great history, but not the first and probably not the last time. 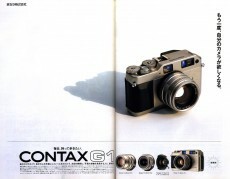 What else is left in Japan of the proud Contax heritage and history? Like most other camera manufacturers Contax maintains a photo gallery called Contax Salon in the centres of Tokyo and Kyoto. I have to admit though that the work on display there is of little interest as it falls into the mainstream nature and landscape categories so often seen in Japan. Like other manufacturers there is a Contax Club. Next to the Contax Salon Tokyo is the Kyocera Service Station (other locations also have their Service Stations) which is able to supply spare parts and little pieces like caps and covers for Contax cameras and lenses. Repairs are also accepted here for the the products still supported by the company (including the ROM upgrade for the G1 rangefinders); a list can be found here. Often repairs are impossible because parts are no longer available. In such cases a third-party repairer needs to be found, which for electronic cameras might not be easy. 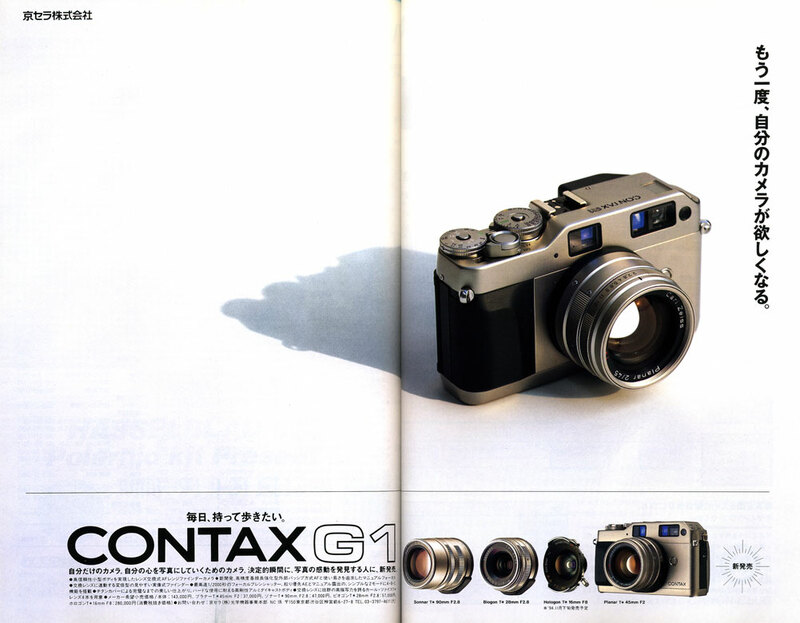 The last remaining question is: what will happen to the great Contax name? 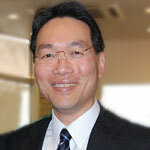 Statements issued by Zeiss in reaction to Kyocera’s announcement in 2005 indicate that the agreement between is still in effect: “Kyocera has several years left of its agreement with Carl Zeiss. If they keep paying the minimum royalties, they could block any developments. Currently, we cannot initiate talks with a possible new partner until Kyocera makes a decision. In the meantime, they will have to keep using the Contax brand name or give it up.” Kyocera has not commented on the licence issue. My personal experience with the Kyocera Contaxes is very good. I own a RTS II with a Distagon 28/2.8. I bought the RTS II due to its enormous focussing screen, it shows 97% of the image taken on film, which is great. The RTS II also has the best shutter release button I have ever experienced. Since it is electrical, there is only very light resistance and immediate response. Moreover it has no half-press, the first time you use it you wonder what is going on and how to obtain a meter reading. For that another button is placed in the front of the camera. My only qualm with it is the placement of the shutter speed dial on the left. It should really be on the right where the ASA/exposure compensation control is. With a manual focus camera your left hand is occupied focussing, so it is difficult to change shutter speeds as well. The other Contax I own and currently actively use is the G1 rangefinder. A lot has been said about its perceived shortcomings, but perhaps it is often misunderstood. The G1 is an autofocus, autoexposure rangefinder camera offering a great degree of user control to meet the demands of the experienced photographer. This is not a Leica, and not trying to be one. This system offers its own advantages and would even complement a manual focus rangefinder: focussing in low light, focus tracking of moving subject, motor wind, auto exposure with bracketing just to name a few things that become easily possible. The most important aspect of the Contax G system is the line of Carl Zeiss T* lenses that rival, or might even surpass, the quality of Leica lenses — at a fraction of the price. The German-Japanese Contax venture was extremely popular in Japan and I think with the history we recounted in this article it is easy to understand why. Here are the world’s best engineers working together in creating top quality photographic products, with a great heritage. This is something that the Japanese very much appreciate. The popularity of Kyocera Contax has an interesting side effect: since there are so many cameras and lenses out there, with the change to digital enormous quantities of Contax equipment is reaching the second hand market at extremely low prices. Obviously these are still very capable cameras, and the quality of the fine lenses is not diminishing. Using an adapter, C/Y lenses can even used on digital bodies like the Canon EOS or Micro Four-Thirds bodies like that of Panasonic Lumix G1. Please consider the Japan Exposures Equipment Sourcing Service if you are looking for any of these cameras. When the E. Leitz Company introduced the first practical 35mm camera in 1925, it was an instant world-wide sensation. The Leitz Camera — Leica –, paved the way for a completely new way of creating photographs. 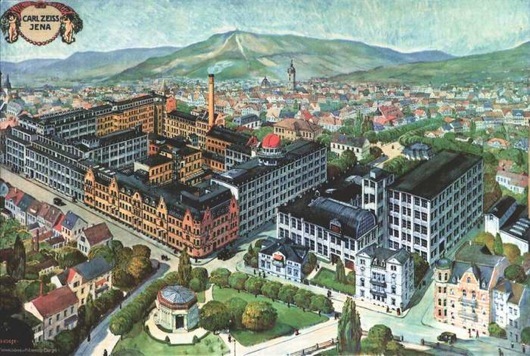 At that time the Carl Zeiss Foundation of Jena, Germany, was already a well-established company with almost 50 years of optical history behind it. It had begun producing camera lenses in 1890, but was not able to respond to the success of the Leica by offering a comparable product. To do so, Zeiss acquired four small camera manufacturers and merged them into the Zeiss Ikon AG, based in Dresden and Stuttgart. Even so, it took several more years to develop and produce a match for the meanwhile dominant Leica camera. This was the Contax, Zeiss Ikon’s top of the line rangefinder camera, presented in 1932. The first Contax did not manage to fully live up to its ambitions. It was a very sophisticated and also complex little device and soon became known to suffer from a lack of reliability, especially due to its complicated shutter. Hubert Nerwin, Zeiss Ikon’s camera designer par-extraordinaire, picked up the pieces from the first unreliable Contax designs, and re-designed it to one of most famous and desirable 35mm cameras ever to have been produced; the Contax II. In 1936 it was brought to market with many revolutionary improvements, such as a combined viewfinder and rangefinder. In terms of features, it beat the comparatively primitive Leica hands down. 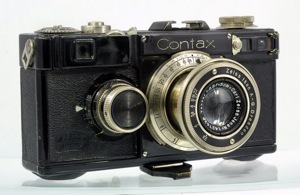 Not resting on its success, Zeiss immediately started working on the next generation, the Contax III. But another ambitious project was already lined up beyond it — the Contaflex twin-lens reflex camera (TLR). The second world war saw the cities of Jena and Dresden become the Soviet sector of occupied Germany. The production facilities were damaged and everything salvageable was relocated to Kiev in the Ukranian province, to provide the Soviet Arsenal conglomerate with the means to construct a world class camera called the Kiev, initially entirely from leftover parts from Germany. Prior to the handover to the Soviets, the withdrawing US Army had recognised the significance of Zeiss and facilitated the relocation of over 100 key personnel, management and engineers to West sectors. This chapter alone is a fascinating period of Contax history and many papers and books have been published trying to establish on what exactly happened under the Russians’ control and what cameras where built at what location. Like Germany itself, Carl Zeiss was now divided into East and West. In the West, Zeiss continued working on improving the classic II and III series rangefinder cameras, whereas in the Soviet sector work concentrated on developing the single-lens reflex. In 1949, at the Leipzig Spring Fair, an industrial showcase, Zeiss Dresden (East) released the Contax S (for Spiegelreflex [reflex mirror]. Due to increasing disputes around the Zeiss trademarks, which occupied German courts for 15 years, Zeiss Dresden renamed their cameras to Pentacon, derived from the combined words PENTAprism CONtax). It was the one of first 35mm SLR film cameras featuring a pentaprism allowing direct viewing from behind without a reversed image. The era of the rangefinder camera started drawing to a close and the SLR’s rise began. 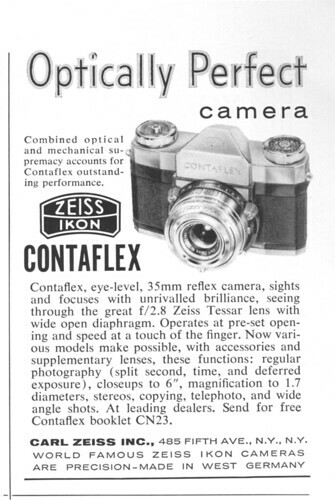 Carl Zeiss (West) released their first SLR in 1953, the Contaflex. Unlike its pre-war TLR namesake, it was a single-lens reflex camera (SLR) it featured a leaf shutter and but unlike the TLR only at a later stage was it equipped with a built-in (selenium) exposure meter. The follow-on model was called the Contarex and showed German engineering at its best: the world’s first exposure meter-coupled, focal plane shutter camera; it even sported interchangeable film backs. Despite its sophistication, the Contarex and its follow-on models were not commercially successful. While it was superbly crafted and packed with innovation, it was an engineer’s camera, which is to say ugly and heavy. Its selenium metering cell in front of the pentaprism gave it the name Cyclops or Bullseye. Production of the renowned Contax rangefinders IIa and IIIa (the a distinguishing them from the pre-war models) was ceased in 1961. Meanwhile Japan had risen from its own ashes and started the onslaught that would leave the German camera industry practically wiped out (except for, ironically, the more and more archaic seeming Leica M). The Japanese practical design and not least pricing of cameras like the Nikon F simply could not be matched. Nonetheless, Zeiss continued to deliver in its cameras many world firsts that are taken for granted in today’s cameras: electronic auto-exposure, attachable motor drive and the technical feat of an electronically driven and vertically travelling shutter (a shorter travel distance means that shorter shutter speeds became possible). Undoubtedly SLR cameras would not be the same today if it wasn’t for the continuous innovation by Zeiss in their Contax cameras. The economic perspective was different, however. Zeiss simply could not continue to produce cameras in Germany alone, facing the fierce Japanese competition. The key strategy was to find a strategic partner in Japan. Initially talks were held with Pentax, but efforts abandoned. The Pentax K is one remaining legacy of this attempted co-operation. 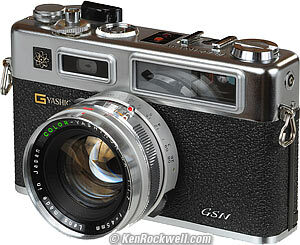 In 1973 the alliance between Zeiss and Yashica commenced, a partnership that would hold for over 30 years. Yashica was founded in 1949 in Nagano prefecture and made a name for itself by producing high-quality 35mm and TLR cameras. The Yashica Electro 35 was a very popular rangefinder, said to have sold over 5 million units, and the Yashicamat a very reputable TLR. Yashica’s expertise in building electronic cameras paired with Zeiss’ excellence in producing optics seemed a promising formula for success. Perhaps it was the experience of the cyclops that prompted the addition of another ally: the F. Alexander Porsche Group. Industrial design was still in its infancy as a concept or product development consideration, yet Zeiss and Yashica must have recognised its importance and potential. Porsche Design were a pioneer in ergonomics and consulted on appearance and human interface design. 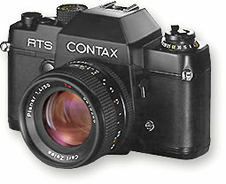 The fruits of this collaboration were introduced at Photokina 1974 — the Contax RTS SLR. The RTS (Real Time System) once more introduced a fireworks of innovation: a wholly electronic camera with aperture priority and manual exposure modes, optional five frame per second motor drive with intervolometer (selectable frame per second rate), 5-flash-per-second electronic flash capability and two frame per second winder. The totally stepless electronic shutter had a maximum speed of 1/2000s. Exposure compensation was found for the first time on any camera. The traditional maze of mechanical levers, rods, cams and gears, common to most shutter release systems had now completely given way to electronics and electro-magnetics. All timings in the body were now governed electronically; the follow-on RTS II had adopted quartz to ensure precision timing. A slew of other models targeted at different types of photographers followed and Yashica also continued to manufacture cameras under their own brand, which shared the Contax mount (C/Y mount) so that lenses were interchangeable between them. Zeiss concentrated on producing their fine SLR lenses. At most train stations in Tokyo, there are still film stores that can develop a roll of film in 45 minutes or less, so you can stop back and pick up your pictures on the way through, and enjoy looking at them on your train ride home. In the Japanese photography magazines, many articles are still devoted to film cameras each issue, although digital camera coverage is starting to pull way ahead. (There are even some dedicated magazines catering only to digital shooters.) Nonetheless most of the camera store ads in the front or back pages still list a huge selection of used film cameras and lenses for sale. These are now referred to as “classic” cameras. Used camera shops like Sankyo Camera Co. [ map ], in the heart of the Ginza, Tokyo’s prestigious shopping district, located just off the famed 4-chome intersection, still offer shelves of Canon and Nikon rangefinder cameras and lenses for sale to film camera junkies like myself. In a store that is a throwback 20 years into the past, there aren’t any digital cameras for sale here. At lunchtime, I have just enough time to walk up to Sankyo to see what’s new on their shelves since my last visit. Since I’m there, I can’t pass up the chance to stop by three other adjacent camera stores in this four-corner area of the Ginza that is a landmark for film camera buffs. My weekly “fix”. There are actually two Sankyo camera stores within a half block, one specializing in Nikon and Canon rangefinders as well as other Japanese camera models, and another shop specializing in Leica cameras, although the window has a nice eye candy collection of Rollei 35mm, Rolleiflexes and Rolleicords for sale. Across the busy street, there’s a Miyama Shokai Nikon branch store [ map ] that sells new and used cameras, mostly Nikon, but also enough used medium-format, rangefinder and other gear to take a look at. 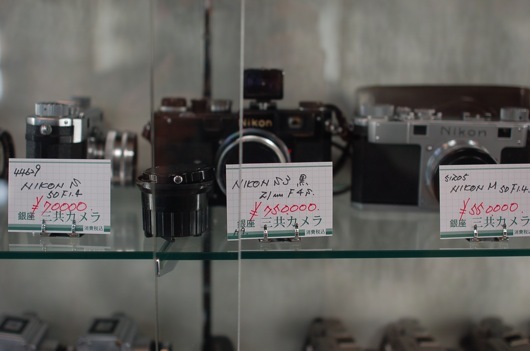 And just a few doors down is Katsumido [ map ], the ultimate store for Leica collectors who want everything in mint condition — and have the credit line to pay for it. 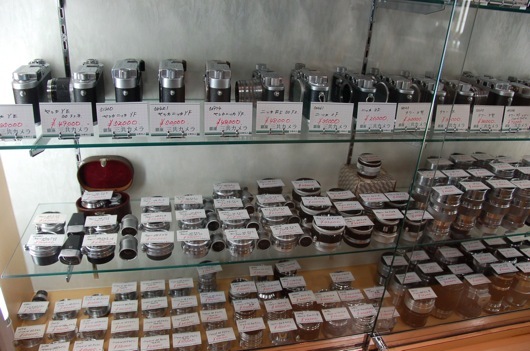 This store also has a changing collection of highly priced and highly desirable cameras and lenses of all types in the window, with everything in near-mint condition. 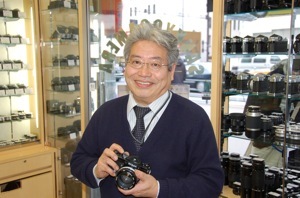 But the stop I enjoy the most is at the Sankyo Camera store with all the Nikon and Canon rangefinder gear, managed by Hiroatsu “Hero” Akizawa (call him Hero-san). At most Tokyo camera stores, the language barrier is difficult. There’s also the snobbery factor, as in stores like Katsumido, where the staff is aloof, and I’m too self-conscious to even ask a question, knowing that they are going to have to find somebody to talk to me in English, if there is anyone. I’m also not going to be able to afford any of those line of Leica M3s or M2s on display, starting from 200,000 yen (about $2,200) and up. They know it, and I know it. So, I nonchalantly make my way over to the display case where cheap Nikon, Canon and Sigma auto-focus lenses are for sale, kept apart from the Leicas. When I stop by Sankyo Camera, however, I’m greeted by Hero-san with a smile and in English. It’s the same relationship I first had with the now-closed Ohba Camera, which was located about a 10-minute walk from the Ginza near Shimbashi Station [Now a standing sushi bar — Ed.]. The store manager at Ohba was friendly, spoke English, and since I was a good customer, always gave me a discount. If I brought back something I had bought there, he would always give me at least 80 percent in trade. That kind of service instills customer loyalty, since in most of the Tokyo used camera shops I’ve visited, I’ve been offered pennies on the dollar on my trade-in gear. When Ohba was closing last April, one of the clerks asked me, “What are you going to do now?” They would see me stop by at lunch and sometimes after work, on my way to the station, to see what they had got in. When they closed, I went through withdrawal pains. Sankyo has stepped in to help ease the pain. The store has treated me well, offering me good trade-in prices, and usually knocking a little off the price of anything I’m interested in buying as well. My first time there, I brought in some Nikon binoculars I wasn’t using, an old Nikon P camera and some Canon lenses to trade, Hero-san looked, and then grabbed a calculator to show me what he was offering. The price was very, very fair. 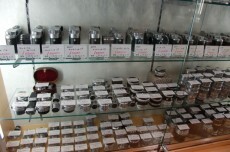 Since that time, I’ve been a regular customer, wandering in off the street each week to see what’s in the display cases. Prices are not cheap, and bargain hunters in the States still can get better buys on eBay or through their local Craigslist site, although the condition can be a craps shoot. But at Sankyo, there are good buys to be had on cameras and lenses that are impossible to find in the States, and usually in excellent condition. One glorious day, there was an Olympus XA4 macro model, no strap, but I turned it over, and there was the extremely rare quartz date back on it. The price? 8,000 yen, or about $70. “I’ll take it,” I said. Hero-san smiled and nodded. I also traded in a Canon rangefinder cameras and some lenses one time for a Canon 7SZ with a 50mm 0.95mm lens, in fair condition, but a steal at under 90,000 yen (about $800). Other days, there have been cameras like a rare, heavily used black Canon P (gone the next day, when I couldn’t get it out of my mind and went back for a second look), and lenses like the Avenon 21mm and 28mm models don’t stay on the shelves very long. Sometimes, in front of the store, there are boxes filled with old lens cases and camera cases, selling for 100 yen (about a buck). Although I feel like a homeless person foraging through a garbage can, I still can’t resist jumping in. Happiness is finding a mint black Canon lens case for your 35mm F2 for a 100-yen coin, which I embarrassingly hand over to Hero-san, my “purchase” for the day. But these days, business is slow at Sankyo, Hero-san says. On this Saturday, there’s a steady stream of customers looking, but few are buying. “Now, it is very slow, slow, slow,” Hero-san says. The reason? Of course, it’s digital cameras. Hero-san says it’s understandable, with how easy it is to use a digital camera. In the future, is there hope for stores like Sankyo to survive? A resurgence in film cameras? “Sometimes, the person wants to do the shutter timing, aperture… maybe, I hope,” he laughs. Looking around at all the shelves of Canon and Nikon rangefinder cameras, I marvel at the selection, and ask Hero-san where they are from. Surprisingly, Hero-san has attended many camera shows in the United States, buying cameras and returning them to the country where they were made, to sell to collectors. He said the Pasadena show in particular, is a good place for them to buy rangefinder cameras and lenses in great condition. “The weather is good, dry, the condition is better than in Japan,” Hero-san says. “In Japan the weather is very wet – sometimes the lens gets mold, the shutter time gets very long – not so good.” So, Japanese collectors are drawn to stores like Sankyo Camera, to buy the cameras that were exported to the U.S. back when the exchange rate was at 360 yen to a dollar. 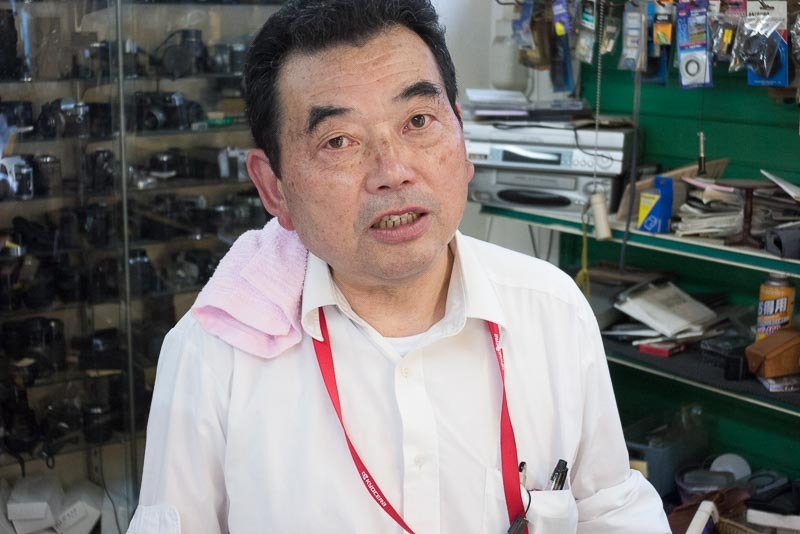 Hero-san said Nikon cameras and lenses, particularly Nikon Tokyo Olympic models, are his store’s best sellers. 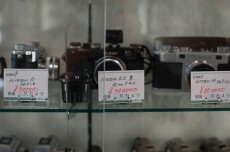 Although the store has a display case full of Canon rangefinder cameras and lenses, the Nikons outsell the Canons. “Canon (prices) are going a little down,” he says. In this digital world, leave it to the nostalgic Japanese to keep a flickering candle lit for the world of film cameras. Recently, a young Japanese woman brought in an old shiny camera to my office, a curious look on her face. It was her grandfather’s 1950s Konica IIA, a rangefinder. She said her grandmother had wanted her to have it, an old antique that her grandfather, who had passed away recently, had loved using. The young woman told me that she had taken the Konica to a camera shop, where they had charged her 30,000 yen (about $270) to do a CLA on it. But the young employee at the counter who returned it to her told her he didn’t know how to load film into the camera or use it. I told her that the camera was not worth that much, being an obscure Japanese brand, and she paid more than what it was worth. I admired the 1950s styling, always a sucker for an old chrome rangefinder camera. I asked her if she wanted to sell it. ‘’Oh, no, it was my grandfather’s camera. I will never sell it,” she said. So, I looked up the camera instructions on the Internet, put some film in, and showed her how to set the aperture and shutter speed. Without a meter in it, I printed her out the “sunny F16” rule, and told her to go have fun with the camera. It’s what her grandfather would have wanted. Then, another co-worker, a Japanese gentlemen who collects antique tin toys, brought in a Pentax S2 with the standard 55mm F2 lens, sold in the Japanese market, to show me. He asked me if I knew how it worked. When I looked at the viewfinder, I couldn’t see anything, even after checking to make sure all the lens caps were off. When I took off the lens, I noticed there was no prism! I took the camera to Ohba Camera, and they estimated it would cost about 10,000 yen to repair it. I told my friend at the office he should just toss the camera, that it had no value, and I knew he would never use it, even if he got it repaired. But he said he couldn’t do that, it was his father’s camera, and he had too many good memories of family pictures being taken with it. Even though space is very limited in Japanese homes and apartments, most Japanese seem to pass their cameras down to the next generation. In the United States, looking at various local classifieds sites, Craigslist, Internet camera ads, eBay ads, I’m always struck by how many sellers say the camera was their father’s or grandfather’s camera. Since moving to Japan, I’ve myself benefited by my wife’s family passing down their cameras to me. We moved to Tokyo in 2001, and I became interested in photography. I had worked at many newspapers in the United States as a reporter, and then a bureau chief and editor. I had worked alongside many of the finest newspaper photographers, so I had never had the need to pick up a camera myself. In Japan, however, most journalists have to take their own photos, so it was a skill I needed to acquire. My wife’s grandfather, a retired architect, had spent his lifetime shooting photos, mostly landscapes around Japan, and family photos. Now in his 90s, shakier of both hand and feet, he can only shoot with a Pentax Espio 115, a point-and-shoot film camera. He lamented the loss of control over his photos, but the convenience of that lightweight plastic body and zoom lens was more important. One night, my wife told me, ‘’Ojii-san (grandfather) wants to give you his camera.’’ She didn’t know what kind, so I was hopeful. Would it be a Leica, or maybe an old Nikon F? In the moment when he handed me the funny box-looking camera, I smiled. It was an early 1950s Rolleiflex, with a Tessar 75mm F 3.5 lens. Never having used a medium-format camera, I had to look up the manual on the Internet. My wife said he had bought it in the mid-1950s when his friend needed to sell it. 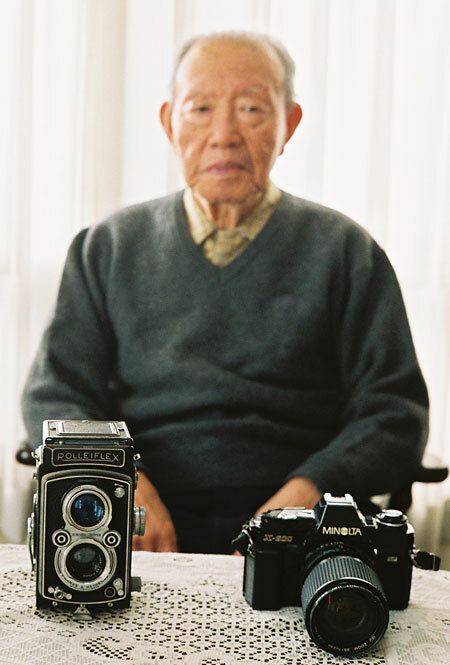 Ojii-san asked his wife if he could buy it, since even at that time, the purchase of a used Rolleiflex with the leather case and all accessories cost them almost half their savings. It turned out to be a wise investment, back in the days when a good camera was a finely made instrument that would last a lifetime and — as we now see — even longer. 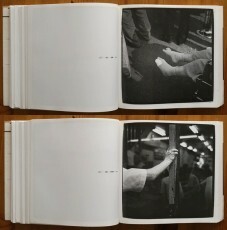 In all his photo albums, I see that old Rolleiflex around his neck at family gatherings and visits to hot springs spas. At their small apartment in Tokyo, one storage room is completely filled with albums on the shelves. He still keeps a photo album year by year, his best photos enlarged and cut to fit spaces. Then, another night, my wife told me again, ‘’Ojii-san wants to give you another camera.’’ This time, it turned out to be a Minolta X-600, a model I had never heard of. From doing some searching it turned out this model was a rare one, only made for one year, 1983, and sold only in Japan. My wife’s grandfather had bought it to use in his architectural work. Later, he would travel with his wife on the group tours the Japanese are famous for, with that camera and a Minolta 35-105mm F 3.5-4.5 lens, to take some of the most beautiful landscape photos in Japan and around the world imaginable. I posted on one Internet site asking about the value of an X-600, out of curiosity and the possibility of finding another one in Japan, and someone immediately sent me an e-mail wanting to buy that old camera. Now it was me that told the requester that I, of course, would never part with it; it holds too many sentimental memories for my wife’s family. I tried the Minolta X-600, even getting a 45mm F2 Minolta Rokkor for portability. It’s a fun camera to use, focus is manual, but there are confirmation dots that light up to tell you the subject is in focus. I mulled just outfitting that Minolta X-600 with the best lenses and making it my sole camera, but my friend at Ohba Camera in Tokyo laughed, and told me that only old men still use and collect Minolta cameras. In brand conscious Japan, I knew that I would end up eventually carrying a Leica. So, the X-600 went into permanent “retirement.” Since then, my wife’s father also gave me his old camera: a Minolta 7000 and two Sigma zoom lenses. I thanked him, and took the camera, which he seemed pleased was going to someone who would use it and take care of it. 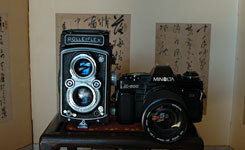 I also found the old Minolta 7000 enjoyable to use, fast and responsive. Like the X-600 and Rolleiflex, they are all going into my dry cabinet. Since my wife and I have no children, I’ll pass them down to my nieces some day, with all my wife’s grandfather’s photo albums. Hopefully, they’ll gain that same love of film photography and appreciation for their ancestors and family that these old cameras have given me. 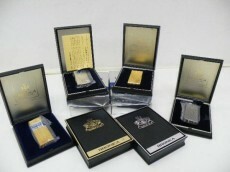 For in Japan, there is a reason why family treasures such as these are never sold.